For more than 25 years, Fondazione Cariplo has been involved in philanthropic projects with passion for art, culture, scientific research, social issues and the environment. Today its activity is focused on support for young people, community and people’s welfare, and on projects carried out with non-profit organizations. Since 1991, the Foundation has sustained more than 30,000 philanthropic projects, investing more than two and a half billion Euro, resources generated by a wise investment policy of funds which in these years have performed well, have withstood the crisis, and whose value today is worth more than 8 billion Euros. In recent years Cariplo has been able to innovate the way it does philanthropy, as in the case of social housing or cultural districts. Not just a sponsor, but the engine of ideas. The Compagnia di San Paolo is one of the most important private foundations in Europe. Established in 1563, its mission is to promote the civil, cultural and economic development of the communities in which it operates, pursuing objectives of public interest and social utility. The income generated by its assets, accrued over the centuries, is placed at the service of these institutional goals. The Compagnia di San Paolo is active in the sectors of research and higher education, welfare, health, cultural and artistic heritage. It is a member of the European Foundation Centre (EFC) and ACRI, the Association of the Italian banking foundations and savings banks. Founded in 2006, Fondazione CON IL SUD is an alliance between banking foundations and the world of the third sector and volunteerism to promote social infrastructures in the southern regions, that is supporting social cohesion and promoting the development of the South. The Foundation is taking exemplary “actions” for the education of young people to legality and against their early school leaving, the enhancement of young talents and the attraction of “brains” to the South, the protection and promotion of its common assets (historical, artistic and cultural heritage, environment, social reuse of assets seized from the mafia), the qualification of health care services, the integration of immigrants, the development of the community welfare. In 2016 the social enterprise Con i bambini was established as the implementing body of the “Fund to contrast youth educational poverty”, wholly owned by the Fondazione CON IL SUD. 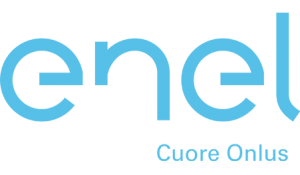 The importance and the role that energy plays in the social, economic and civil development of our society, have led Enel group to feel more and more an integral part of the realities in which it operates. That is why in 2003 Enel Cuore Onlus was founded as an independent non-profit organization whose objective was the management of resources dedicated to philanthropy through the setting up of social solidarity initiatives in favour of those people who live in disadvantaged conditions, in accordance with those values expressed in the company code of ethics. With this in mind and in cooperation with the Government Bodies, Enel Cuore supports projects promoted by local non-profit organizations in the social and health care, education, sports and recreation fields. The Fondazione Cassa di Risparmio di Torino is a private non profit organization established in 1991. For more than 25 years it has been one of the developing and growing “engines” in Piedmont and Valle d’Aosta, active in three main areas: art and culture, research and education, welfare and land management. It intervenes with projects and its own resources in the enhancement of artistic and cultural activities, the promotion of scientific research and young people education as well as the support to innovation, social entrepreneurship and assistance to people in state of need, the conservation of the environment, and the civil protection and first responders systems. 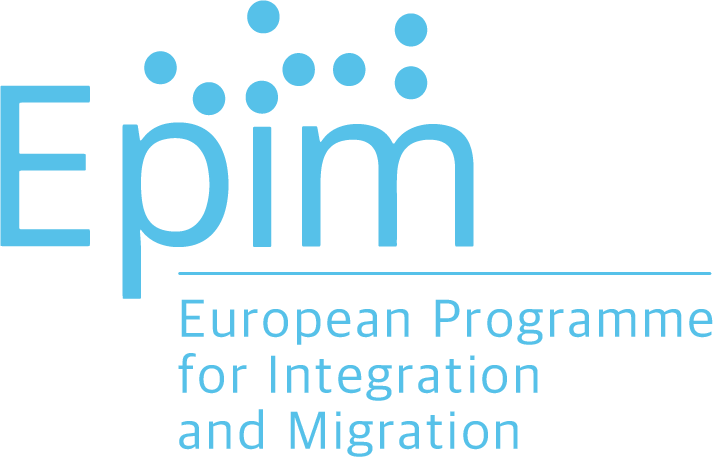 Its activity is characterized by an emphasis on the internationalization, with the dual goal of making local non-profit organizations stronger through the opening to Europe and the world, and at the same time, attracting new projects and economic resources. In a quarter of a century of activity, the Fondazione Cassa di Risparmio di Torino has distributed approximately 1 billion and 500 million Euros allowing the implementation of more than 37,000 projects in the area, not only in terms of financial support but also of planning: the whole thing, listening to the needs of the territory itself and the associations, institutions and non profit organizations. The Fondazione CRC is a non profit, independent and private body that since 1992 has supported projects for the growth of its provincial community, in cooperation with the non-profit and local institutions, and has been working to promote the economic, cultural and social development of the Cuneo Province, particularly in the areas of Alba, Cuneo and the Monregalese. Six are the policy areas which the activities of the Foundation is focused on: local development and innovation, art and culture, promotion and social solidarity, education and training, public health and sports. Through the analysis and debates with citizens and local institutions, the Foundation identifies the needs and requirements and develops its own projects. 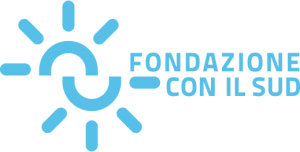 The Fondazione CRC supports its territory by providing contributions to public or private non-profit organizations and through the implementation of projects that are directly promoted or in partnership with others. The Fondazione Cassa di Risparmio di Padova e Rovigo is a non-profit organization that promotes the social, economic and cultural development of the communities in the provinces of Padua and Rovigo. Inspired by a vision of ethical community and being a promoter of innovation it enhances the activities and initiatives of public and private non-profit organizations. And this is done by networking people, skills and resources. It implements also projects that aim at making a change by advocating the needs of the areas in which it operates. In order to ensure continuity to its on-going projects, the Fondazione manages its asset to preserve and increase them over time and allocates the proceeds in socially useful projects that can boost the economic, social and cultural development. Its activities are mainly focused on the following areas: scientific research, education, arts and culture, health and environment, assistance and protection of vulnerable groups. A private non-profit body, the Fondazione Monte dei Paschi di Siena was founded in 1995 as a result of the transfer to Banca Mps S.p.A. of the banking activity made by the former State-owned bank. Its mission is to promote the sustainable development of communities, focusing its resources on a limited number of relevant projects in the culture, research, local development and welfare areas, which, in line with the land planning policies, may affect in a significant and durable way the community itself, in accordance with the principle of subsidiarity over the public intervention. At the same time, its institutional activity is also oriented towards small initiatives, favouring original and innovative intervention niches, with an approach based on dialogue and co-planning, by promoting strategic plans and local networks. Thanks to the intuition and the assets of Mr Peppino Vismara, a Lombard entrepreneur who has always believed in the culture of the gift and cared for those who are in need, the Fondazione Peppino Vismara was established in 1980 as a private body. The Foundation has been operating since then with the aim of supporting social, welfare and education initiatives and activities, specially focused on disadvantaged people, families, youth and marginalized groups of the population in general. The Foundation is active both at national level, supporting projects in various Italian regions, with particular attention to Southern Italy and Lombardy, and internationally, offering great opportunities for development. A distinctive trait of the Foundation is the promotion of self-sustainability in those organizations that it chooses to support.